When it comes to designing and developing truly unique consumer products, Chinese companies are breaking free from negative stereotypes to become global market leaders. Shenzhen, also known as the Silicon Valley of the East, has seen the growth of numerous innovation-driving tech giants, including the consumer drone industry leader, DJI. I must admit that when I first became aware of DJI’s products – given their sleek design, marketing campaigns, and stores – I thought that they were a Western company. How wrong I was. So wrong in fact, that I was even more surprised to find out that the innovative Chinese company had carved out a massive 70% global market share, with a 2017 revenue of $2.83 billion USD. Recent technological developments saw numerous companies, including DJI, Parrot, Lily Robotics, and GoPro, competing to develop drones at a price point and with features that would attract mainstream consumers. However, production, financial, and technical issues caused most companies to ditch their aspirations, with DJI being one of the only companies to not only succeed but take their business to dizzying new heights. DJI’s first product, the Phantom quadcopter, was released back in 2013 and aimed at enthusiasts and professional photographers. From this to the release of such products as the feature-laden Mavic 2 and beginner-aimed Spark, DJI has dominated the industry with a myriad of innovative products and natively-localized content that appeals to both beginners and seasoned pilots alike, solidifying their global dominance. Zero Robotics is another example of a company breaking the mold of “typical” international Chinese products. Their hugely successful Hover Camera drone takes the confusion out piloting for a fully intuitive flying and shooting experience that just isn’t possible with other products. Besides a great product, Zero Robotics have also produced a great app and marketing material to make the Hover Camera a unique user experience. 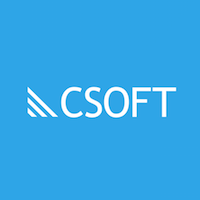 Rather than simply directly translating marketing material, user guides, apps, and support information, DJI and Zero Robotics worked closely with CSOFT’s global communications team (GC) to thoroughly translate, localize, and edit user-facing content. This ensures polished and fully localized app, marketing, and user guide content that is fit for each market that it is released in. Taking an agile approach, where new content goes through transcreation, testing, and publishing iterations, guarantees the sustainable development of a product. Furthermore, content can be easily adapted based on previous iterations to move towards more refined and elegant content. Ensuring consistency across all user-facing content is also of paramount importance, making sure that the user has an intuitive experience with familiarity across the user interface and supporting material. Approaches like these have enabled companies including DJI and Zero Robotics to take their success sky-high with truly unique and innovative products that are leading whole market segments. China’s cheap knock-off days are now a thing of the past, where innovative companies in industries that weren’t even around a couple of years ago are becoming global powerhouses. How can GC help with my consumer tech content needs? CSOFT’s GC team is experienced in transcreating all types of user interfaces and supporting content for major consumer tech companies. Our team of expert translators and writers can help you to overcome the challenges of creating content that will resonate with potential customers. Our team is entirely made up of native English speakers to ensure that the language and tone of our content is not only of the highest quality, but also culturally fluent to deliver the greatest impact for your brand. Whether it is an app, software, website, or supporting material, our content specialists are experts in knowing your audience and developing the right content to target them. What kind of content can GC help me with? Do you have any questions about consumer tech content or the services our GC team can offer? Call us on +1-415-889-8989 in North America, +86-10-5736-6000 in Europe and Asia, or contact us here.